Recall that in 2017 Jamb promised that everything regarding admission will be done strictly on the Jamb profile and only at approved CBT centres. 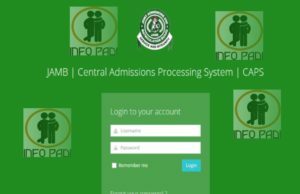 The JAMB portal has a lot of uses, you can use it to check your admission status, you can use it to accept or reject your admission, you can use it to print your original JAMB result, and you can also use it to print your original JAMB ADMISSION LETTER. After checking your admission status on Jamb Caps Portal and accepted your admission then go ahead to print your jamb admission letter. It is important to know that this is a crucial part of your admission/academic process. This is the new system that JAMB will use to assess all candidates’ qualifications to be eligible and granted admission into institutions of their choice. 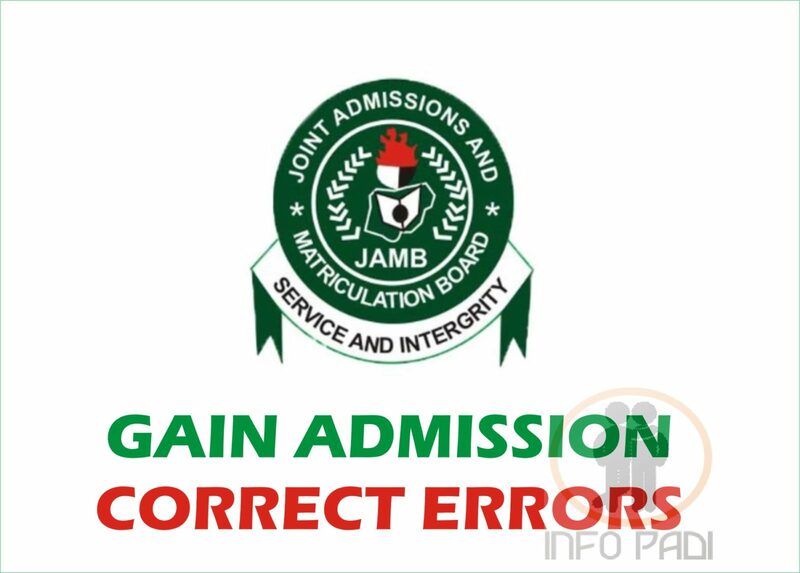 JAMB CAPS simply means Central Admission Processing System. 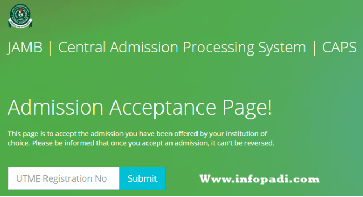 This CAPS portal was launched by JAMB in 2017. To register for the JAMB CAPS, visit the registration portal https://caps.jamb.gov.ng ensure you follow the instructions on the page displayed to you. Click on login to proceed. 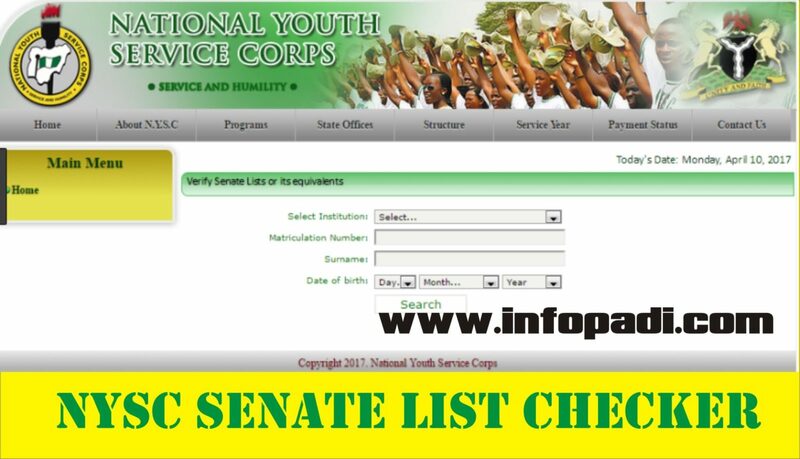 Select year of examination and enter your Registration number. 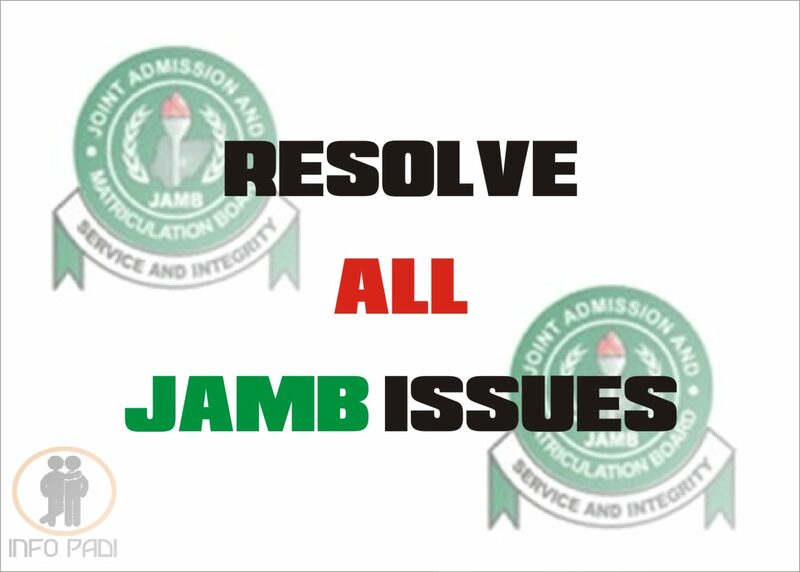 For more JAMB UPDATES, subscribe to this site. Let us make your academic journey success; we will join you on the entire process journey as your info PADI. We will also give you more education opportunities both in Nigeria and abroad.